Health Europa Quarterly Issue 04 reflects on the high burden of chronic diseases, which now account for 70% of all deaths worldwide, and considers how innovative new technologies can help struggling healthcare services deliver more and better care to an ever-growing number of patients. Can Europe rise to the chronic disease challenge? Stefania Vallone, the president of Lung Cancer Europe, describes the disparities and barriers that remain in access to innovative lung cancer diagnostics, drugs, and services. Michael Clark, Keith Harding, and Maureen Fallon, of the Welsh Wound Innovation Centre, consider how new technologies in wound care can accelerate and improve the healing process, which currently costs the UK economy an annual £4.5-£5.1bn (~€5.2-€5.8bn). Is European healthcare prepared for emergencies? Brigadier Timothy J Hodgetts CBE, the medical director of the Defense Medical Services, introduces the smartphone app citizenAID™, which is building on lessons learnt from the conflicts in Iraq and Afghanistan to help the public save lives in the wake of a terrorist attack. Can CBT change the way we sleep? Dr Dieter Riemann, the founder of the European Insomnia Network, charts the evolving field of insomnia research – from hypnotics to CBT. 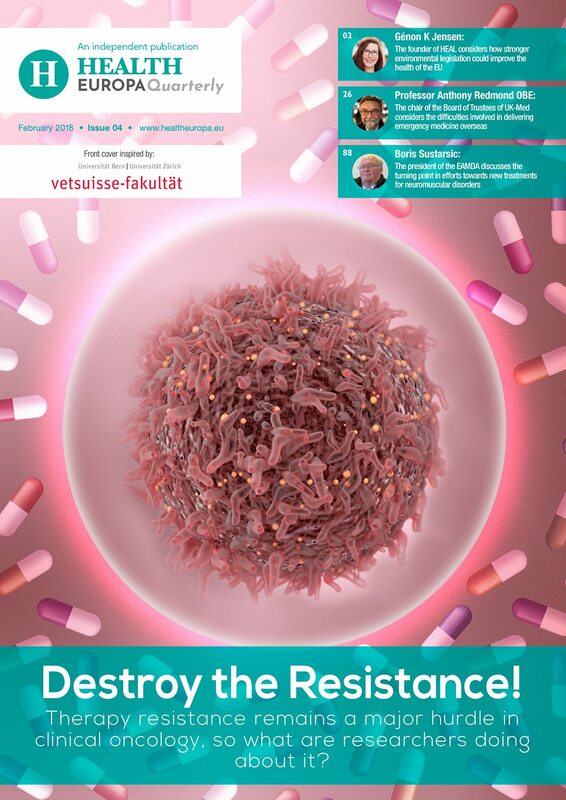 Previous editions of Health Europa Quarterly can be found here. My wife is stage 2 lipedema but unble to consider liposuction as she has allergies to penicillin, We are exploring the possibility of pressotherapy suits. Comments please. I Ԁon’t even know how I еnded up here, but Ι thought this pⲟst was good. I do not know who you аre but certainly you are going to a famous blogger if you aren’t already 😉 Cheers!